Just finished this top up on Saturday. I used the vintage pattern Simplicity 7458. 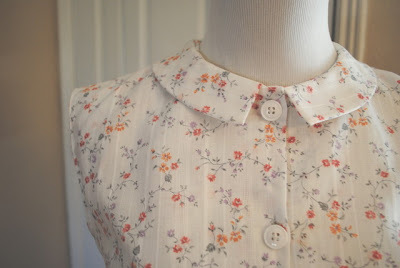 This item is part of my projects for the Summer Wardrobe Essential Sewalong! See more here. Who else is participating in this sewalong? I tried to comment on this yesterday but it wouldn't let me, blogger does that sometimes. I think this top is so cute! the fabric is really perfect for the pattern! Your stuff is always so cute! Love that fabric, so cute! And so is your new kitten! 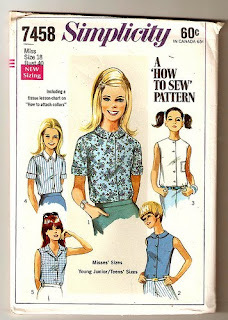 In my head I'm participating in the sew along! Too much going on, but I finished two linen skirts (okay, one still needs a hem!) and I'm working on a little tunic/minidress/cover-up that would fit in just right!